Mars has always held a special fascination for humanity. Its reddish color in the night sky has strong associations with war and destruction, while astronomers have long speculated on the possibility that life might exist there, either now, or at some time in the past. Viewed from Earth-based telescopes, its features have prompted all manner of speculation about the planet and what humans might encounter there. Both the Soviet Union and the United States made Mars an early target for exploration in the Cold War space race of the 1960’s. While the Soviets reached Mars first, in June 1963, they gained little scientific return for their achievement. The first American probe to flyby Mars took photographs that showed a cratered, moon-like surface, dashing the hopes of many that intelligent life might be present there. Subsequent missions focused on finding water, a key requirement of life on Earth, as a possible indicator that simple life might have evolved on the planet. Various nations have now declared their intention to pursue a human expedition to Mars in the future. Although it may yet be many years before we finally see space explorers walking on the Red Planet, most scientists now expect that such an expedition will eventually come to pass. Sending humans to Mars presents a significant challenge, but it remains a potentially very rewarding accomplishment. All that is required is a political decision by a space-faring nation, or coalition of nations, to expend the resources necessary to accomplish the task. Most plans formulated to this point have been too large, too complex and too expensive to be feasible. However, some studies have recommended a leaner operation, and may be possible within a budget of approximately $250 billion, which is roughly what the International Space Station cost to build and maintain. Such a plan could be actioned as soon as the 2030’s. 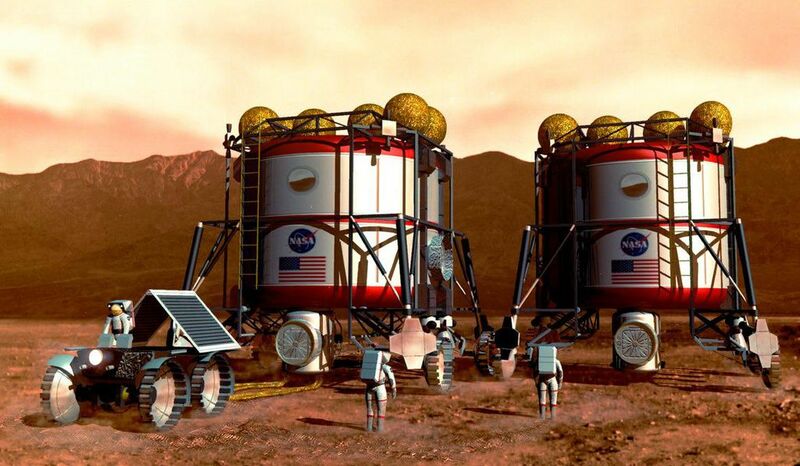 A proposal to “live off the land,” for example, using resources on Mars, might dramatically simplify exploration plans. The first humans to arrive may well extract fuel and consumables from the Martian environment. Such a mission would require a two-year-plus timetable to fly to Mars, work on the surface, and then return to Earth. It would also require a vehicle for getting to Mars, a lander with a scientific laboratory and habitat, a power plant for generating electricity on the surface, rovers, human transports on the surface, food, a manufacturing plant capable of producing its propellant and, most critically, an ascent vehicle for leaving Mars for the journey home. Fuel could be manufactured on Mars from the local atmosphere, which consists mainly of carbon dioxide. This gas would be pumped into a reaction chamber in the manufacturing plant, where it would be mixed with liquid hydrogen and heated. The resulting process, discovered in the 19th century by French chemist Paul Sabatier (1854–1941), produces methane and water. The methane would be pumped through a cryogenic cooler, which would reduce it to a liquid state that could be stored for use as rocket fuel. The resulting water could be pumped into an electrolysis unit, where electrodes separate it into hydrogen and oxygen. Upon arrival, humans would need to deploy an inflatable greenhouse to grow food. Using automated rovers, the crew could then begin explorations of the surrounding terrain. They would collect rock samples for analysis in a small laboratory set up in their habitat module. They could also drill into the Martian substrata in search of water and any subterranean life that may exist. They could even search for fossils, and seek to confirm the existence of further natural resources that have been detected by satellites orbiting Mars. Once their time on the planet came to an end, the crew would undertake a 110-day trip back to Earth. The technical problems of such a mission are considerable. The crew would be exposed to two types of radiation: cosmic radiation invading the solar system from the galaxy beyond, and solar flares of radiation running the whole electromagnetic spectrum. A fast transit time is the best protection against galactic radiation, as is the local atmosphere on Mars. The Sun’s solar flares, on the other hand, can be lethal, especially in the unprotected vacuum of space. Engineers may opt to shield the crew with water, using a donut-shaped water tank into which the explorers could retreat until the solar storm subsides. It may also be necessary to maintain some artificial gravity on the spacecraft carrying the crew to Mars, to help minimize biomedical problems associated with prolonged exposure to low-gravity environments. This could be accomplished by using rotating sections to create artificial gravity. Most scientific and technical challenges can be overcome with sufficient funding. 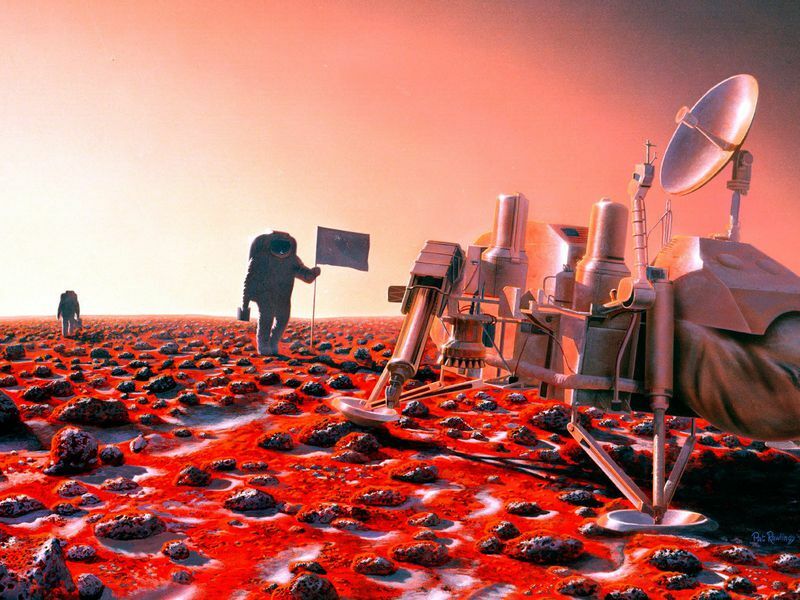 The major obstacle for a human Mars mission remains cost. On December 11, 2017, President Donald Trump announced that he intended to re-vector NASA toward a return to the Moon and the establishment of a Moon base prior to a human mission to Mars. This would likely push a Mars landing a decade or more into the future, or it might energize other nations to take leadership for a national or international Mars mission. Getting humans to Mars in the 2030’s can be done, but only if we are willing to spend enough money to overcome all the obstacles. The Smithsonian History of Space Exploration is a comprehensive history of international space exploration paired with photographs, illustrations, graphics, and sidebars on key scientific and technological developments, influential figures, and pioneering spacecraft. 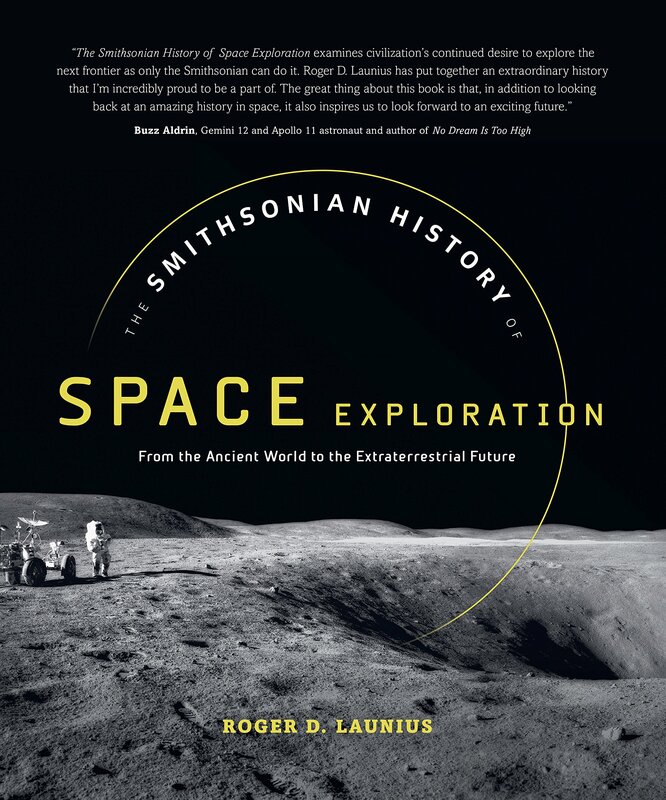 Former NASA and Smithsonian space curator and historian Roger D. Launius presents human’s endeavors to understand the universe, honoring millennia of human curiosity, ingenuity, and achievement.